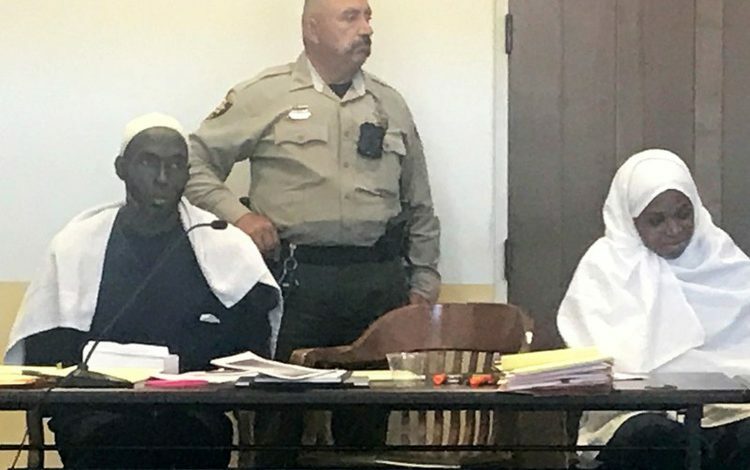 TAOS, N.M. — A New Mexico judge received death threats and Islamophobic abuse on Tuesday, a day after she granted bail to five Muslims charged with child abuse and who are accused of training children at their compound to carry out attacks, court officials said. Police raided the compound in Taos County on Aug. 3, following a tip that children held there were starving. They found 11 children in need of food and water, and three days later unearthed the body of a toddler. In an order published on Tuesday, District Judge Sarah Backus said prosecutors had produced evidence that was “troubling and unusual”, but failed to show the defendants abused the children and were a threat to society if released on bail. One caller on Tuesday told Backus “her throat would be slit” while another said he wished “someone would smash her head,” New Mexico courts spokesman Barry Massey said. Backus was bombarded with abuse and criticism on Twitter and received hundreds of calls and emails, most of which referred to her using terms like “Islamic terrorism sympathizer”, Massey said. The five defendants — two men, their wives and a sister — must wear GPS ankle bracelets once released on $20,000 bail each and are not allowed back on the compound, Backus ruled. The case has split the Taos County community between those who believe the group was involved in a failed attempt to live “off the grid” and others who fear they were hatching a plot to attack schools, banks and police, as prosecutors alleged.